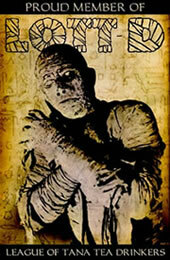 Brandt Sponseller has been watching horror and other "adult" films for as long as he can remember. As far as he knows, his parents let him go straight from Sesame Street and Mister Rogers to Dracula and The Devil's Nightmare as soon as he showed an interest. He usually prefers films that lean towards the fantastic, but then again, Taxi Driver is one of the few films to have earned his "10.5" rating. 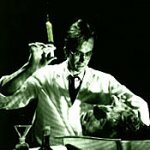 A genre devotee, he likes everything from The Cabinet of Dr. Caligari to the latest teen-oriented horror flicks, and is on a ridiculous mission to see every horror film ever made--especially futile in light of his broad definition of horror, which includes everything from Psycho to Natural Born Killers to Casper. Brandt's other interests/vocations include academic philosophy, music performance and composition, fact and fiction writing and traveling. A marvelous blend of horror, humor and incredible special effects, The Frighteners is one of the better films of 1996, and certainly falls into any "must see" list of horror films from the 90's. 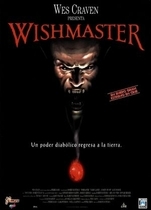 Wes Craven's Wishmaster is darkly and nihilistically marvelous, an extremely enjoyable horror fantasy, even though it is heavily indebted to its influences at times as it treks through Evil Genie Land. 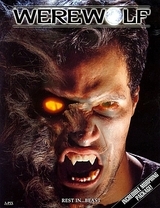 While not completely without merit, Werewolf suffers from a full complement of problems typical of direct-to-video releases. Unfortunately, these aren't all budget-related; some of the flaws are simply inexplicable.